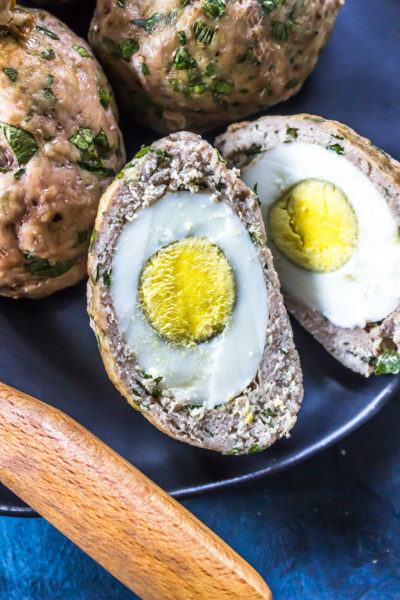 These Paleo Scotch Eggs make a great breakfast or protein-rich snack! In a medium bowl, mix together all of the ingredients except for the eggs. Divide the meat mixture into 6 balls and flatten with your hand, tucking an egg into each one and sealing on all sides. Place on the baking sheet, and repeat with remaining eggs. Bake for 35 minutes until cooked through. The internal temperature should reach 165° F.